Master Degree in Nuclear Engineering at Politecnico di Milano. He started as designer of Numerical Controls and CAD/CAM/CIM solutions. Often at the forefront of innovation: he worked on the very first solid state cameras based on CCDs and on one of the first CAD for furniture makers. He then had a long career at CMS (22 years), where he held the functions of SW and Systems Product Manager, Product Marketing Manager, Marketing Managing Director (for 10 years), Business Development Manager (at present). 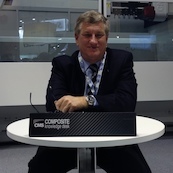 Now he is leading a project finalized to add 3D printing functions (by Screw Extrusion Additive Manufacturing technology) to CMS machining centers for Composite Materials.